Size: approx. 20 mm. Photo: 05/14/15, 9 pm. Found in most parts of North America where it is the only species in this genus. 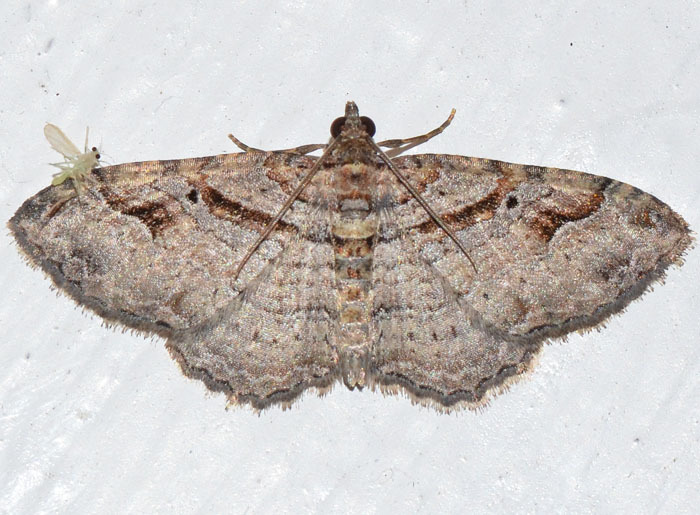 The Bent-line Carpet is also an introduced species in the UK, the Canary Islands, the Azores, and Madeira. 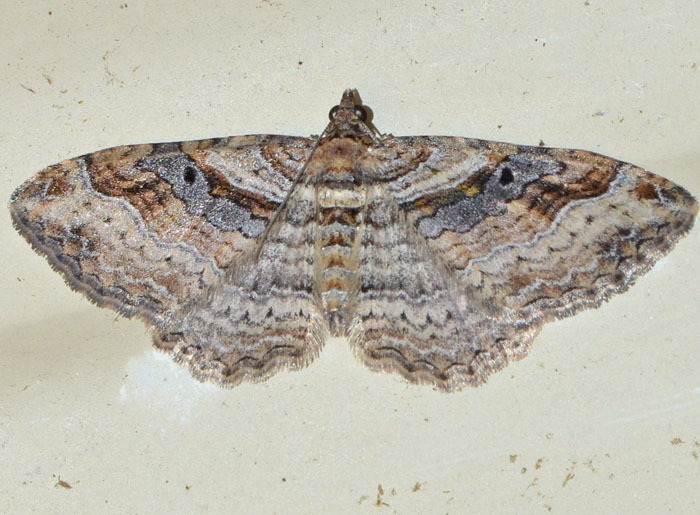 It is easily confused with Orthonama obstipata but doesn't have an blackish dash at the apex of forewing. The small photo (06/03/15) shows a different specimen.